Gina Hahn (née DeCaro) is a doctor of physical therapy with a passion for weight training and performance. She studied exercise science at Elon University, and earned her doctorate from The George Washington University. Gina’s treatment approach combines her expertise in biomechanics and proper tissue loading or strength training as patients move through the rehab sequence. She believes everyone has the potential to prevent injury, live without pain, and be active at any age. As a former athlete, she has recovered from injuries of her own (including back pain, ankle sprains, and shoulder instability) and understands the frustration of having to work on weaknesses in order to get better. She is driven by teamwork, including utilizing her colleagues' expertise and referrals to other providers when necessary. 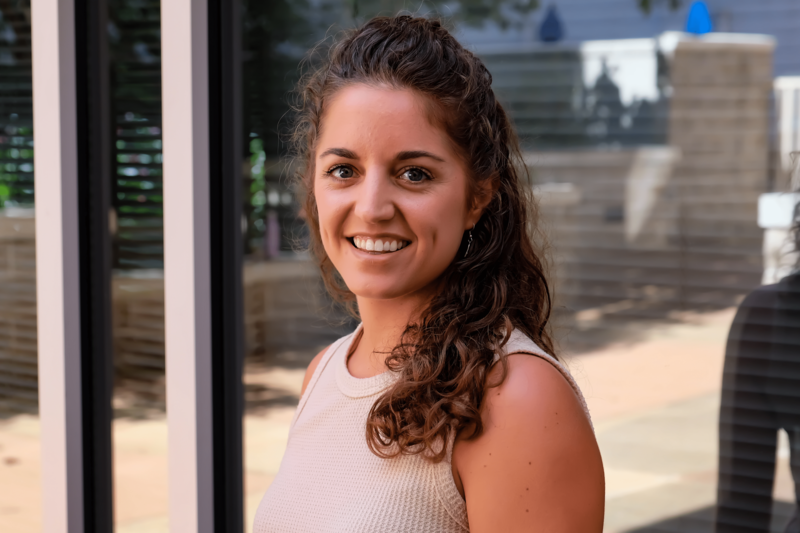 Gina’s goal for patients is to help them understand why they developed an injury, teach them to listen to their body throughout the rehab process, and eventually to become independent with consistent and proper self care. Outside of work, Gina stays busy traveling, listening to live music, and checking out new restaurants with her husband, family, and friends. Learn More: Staff Spotlight: Q&A With Physical Therapist Gina DeCaro Hahn.